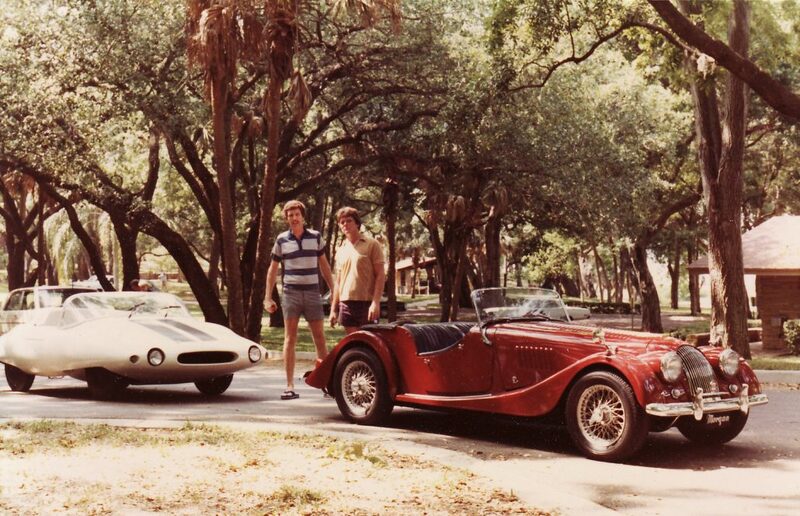 Who doesn’t like a car adventure – and boy have I had one over the last 40 or so years. But my car adventure was even better – it led to a great friendship. One that continues to impact me each and every day. 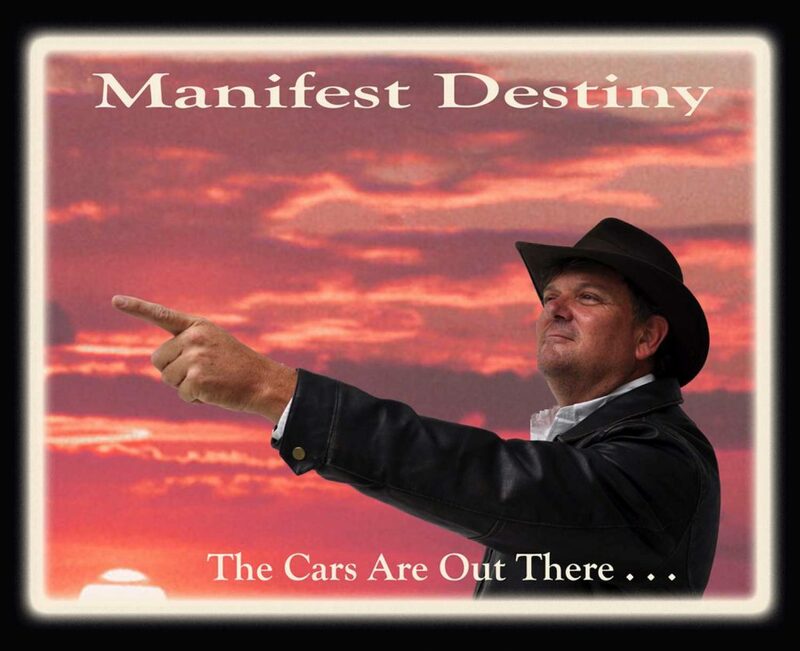 And my car adventure started with someone who would become my best friend – Rick D’Louhy. After buying the Shark in August of 1980, Rick reached out to the original seller and asked if he could contact the new owner. 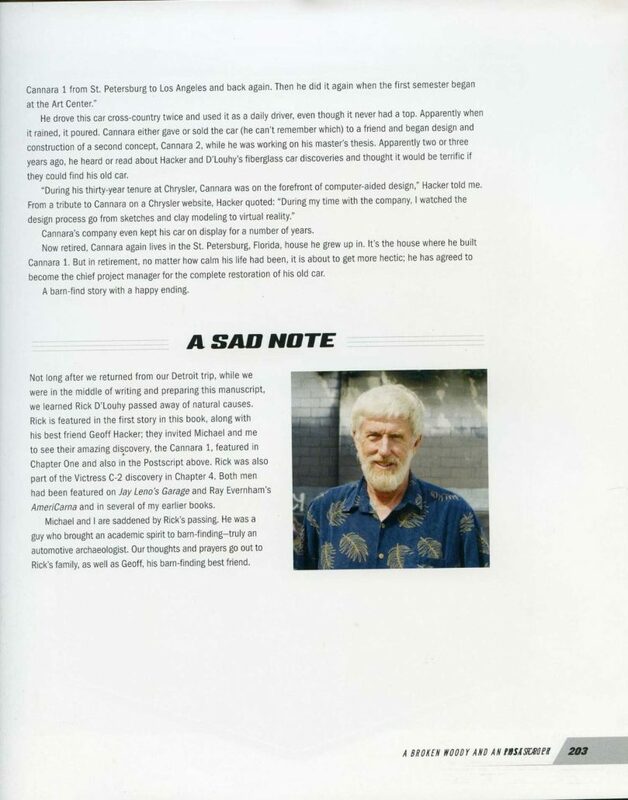 He wanted to share a Road & Track magazine article about the Shark that would help the new owner establish the history of the car – which it did. It was also a harbinger of what was going to follow decades later. Rick’s kind gesture toward me would be the start of our lifelong friendship. Fast forward to the mid 1980s. I had graduated from high school and college and Rick and his family (Rick was about 14 years older than me) moved to Ormond Beach, Florida in 1985. Despite the differences in distance (remember these were pre-internet days), we always kept in touch. 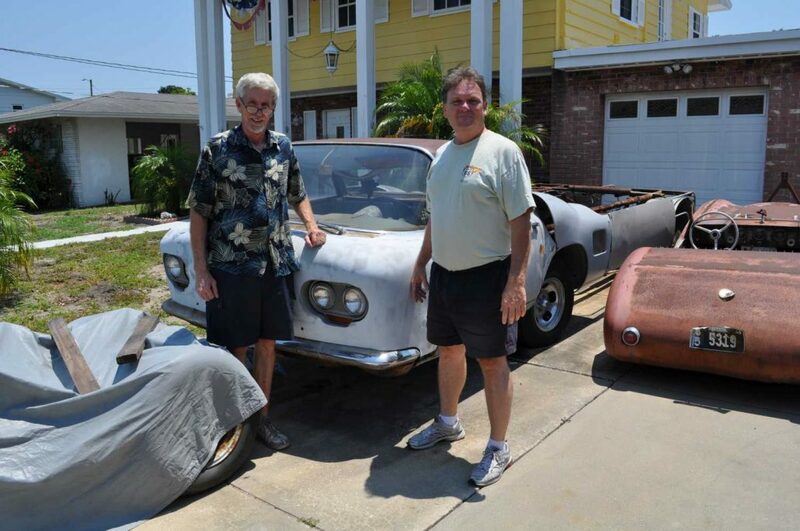 And then everything changed in 2005 when I found the 1961 Covington Tiburon Coupe. Finding the Tiburon coupe was exciting and one of the first people I called about it was Rick. 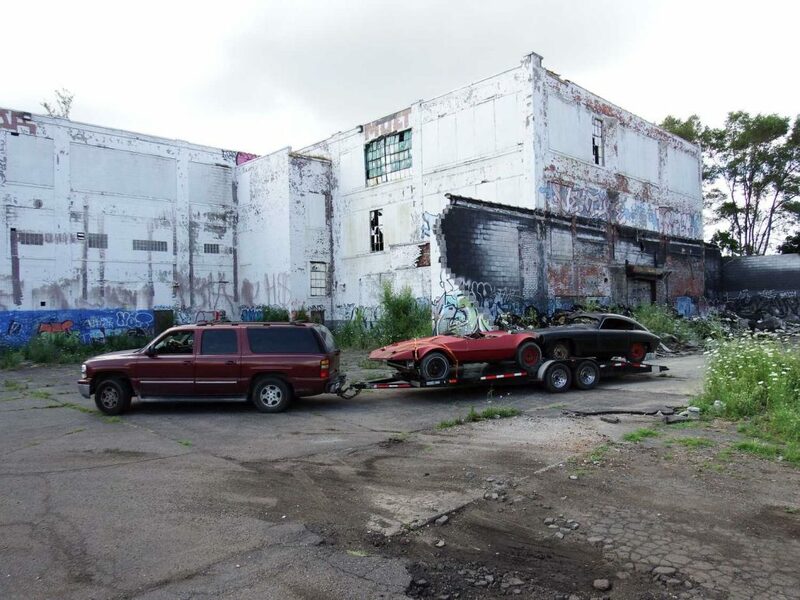 It may have taken from 1980 to 2005 (25 years) to find one of the six lost Tiburon Coupes, but Rick and I had started the quest to find it together in 1980 and I wanted him to know. But it didn’t end there. By the time I shipped the Tiburon to Tampa, Florida I had also retrieved my other two convertible Sharks from a local museum. They had been “gifted” years before but they had not moved forward with the restoration. When I contacted them and expressed interest in acquiring them again, they returned home to me. Now I had three Sharks and there was lots to do. 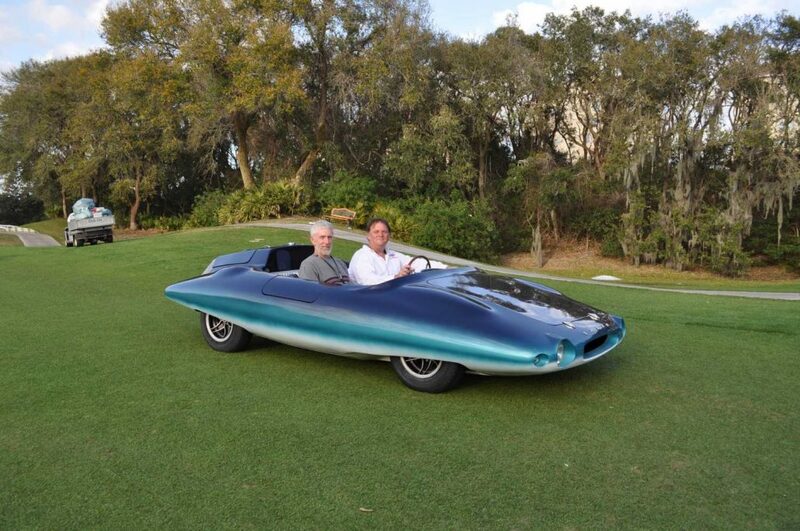 Rick and I had been talking back and forth about the Sharks in early 2006 and learning more about early ‘glass cars. 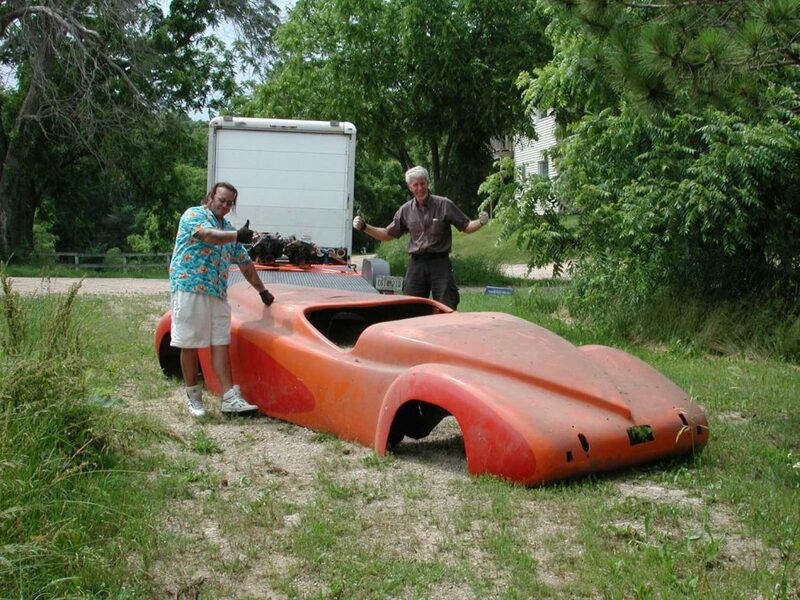 In doing so, we each had found “mystery” fiberglass cars with little history. I had found a 1953 Grantham Stardust on a website called LaDawri.com run by another person who would become a good friend – Jon Greuel. Rick had found an 1953 Irwin Lancer through one of his car show contacts. It was languishing in a junkyard. Little was known about each of these cars so we moved forward in our usual fashion and started to gather data. We eventually found the families that had produced both of these cars and were fired up with enthusiasm for learning more. 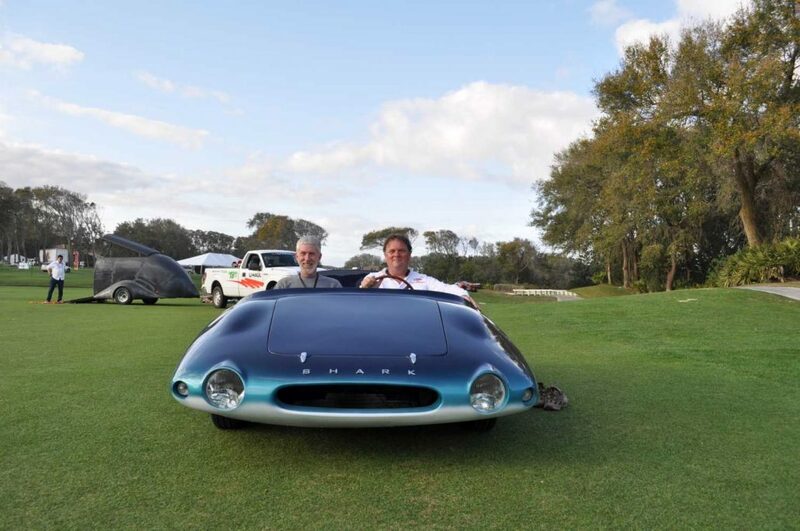 Within a very short period of time, we had acquired additional rare fiberglass “specials” and were honored to participate in the March, 2007 Amelia Island Concours d’Elegance with our 1957 LaDawri Conquest. Two Folks That Became Great Friends: From Left to Right Jon Greuel (founder of Ladawri.com) and Merrill Powell (co-founder of Victress in 1953). Photo taken in front of a Victress S1A at the 2007 Amelia Island Concours d’Elegance. From Left To Right: Merrill Powell, Jon Greuel, Geoff Hacker, Debbie Dawes and Joan Dawes. Rick, of course, was taking the photo. Ok….Rick and I could be a little “Out There” at times. The theme of this poster was inspired by the “X-Files” TV series. 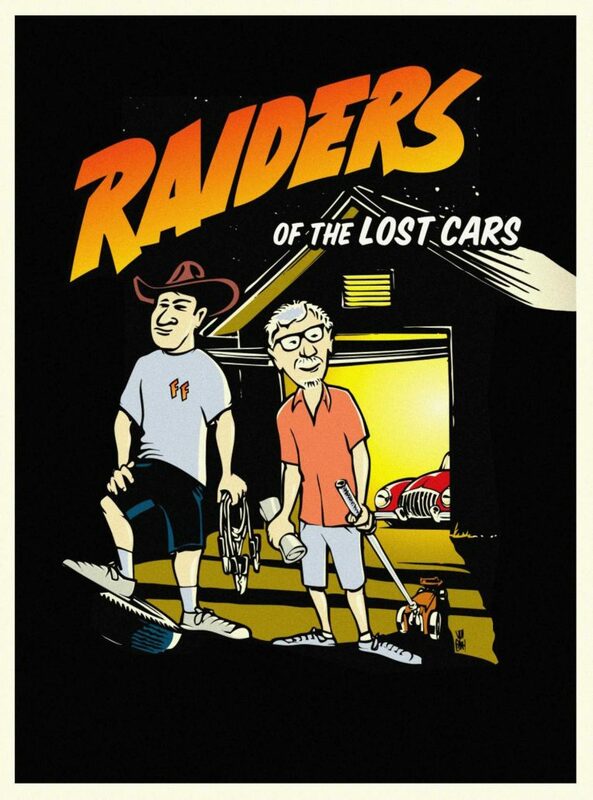 As Rick and I continued to work to save cars, research their histories and show them across the country, we started having fun and referring to the work we did as similar to the character “Indiana Jones” in the movie “Raiders of the Lost Ark.” Others recognized this in the public and the press and referred to this theme as well when they wrote about us. Rick and I always found ways to have fun with what we did and who we worked with. “In attempting to capture the significance and passion inherent in Undiscovered Classics, I can’t seem to shake the graphic allusion to Indiana Jones and Raiders of the Lost Ark on the former’s website. Although I would aspire to be more original, that theme absolutely nails the essence of their journey and the value of their achievements. 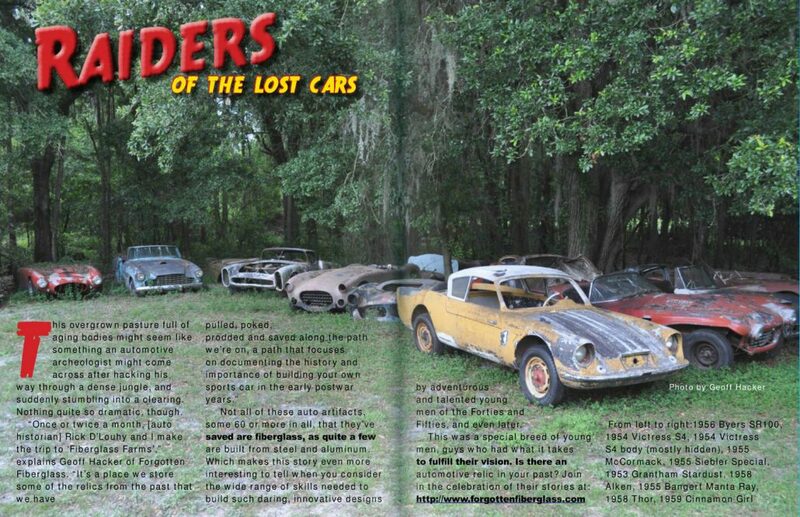 At the same time Rick and I were researching and writing about lost handcrafted cars, Rick was busy building his own event near his home in Ormond Beach, Florida – the Daytona Beach Dream Cruise. I remember how focused he was creating a vintage looking logo with just the right shape and just the right colors – every part of the schedule and the entertainment and the vendors and the participants….Rick was right in the middle of it. 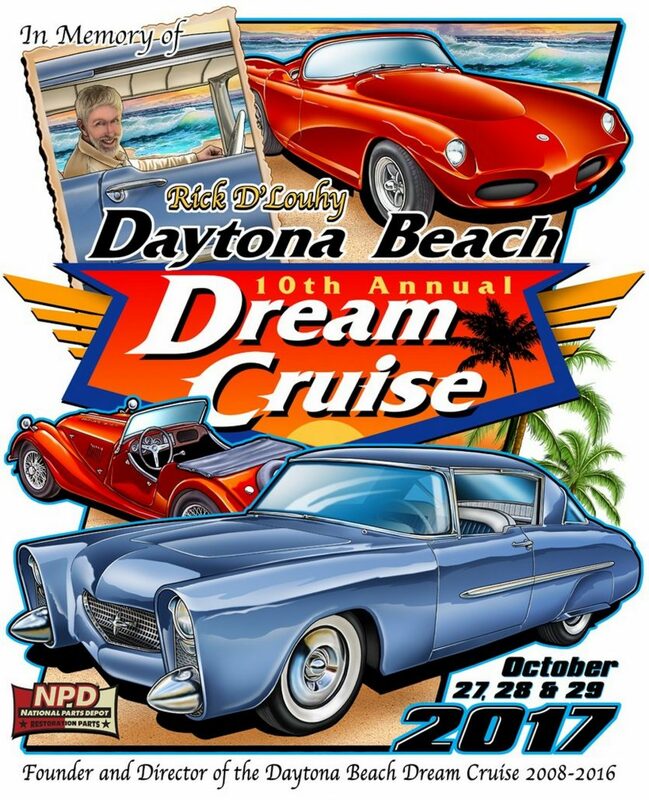 From 2008 until 2016 the Daytona Beach Dream Cruise gained in scope and size and was something he, his friends and family were proud to participate in. After his passing, the Dream Cruise continued and in the next year the event was dedicated in Rick’s name and a great poster of commemorating his cars and the event was commissioned – see below. This was the first “Daytona Beach Dream Cruise” (2017) that appeared after Rick’s Passing on November 30th, 2016. From 2007 through 2016, Rick and I were honored to appear with our cars at some of the best concours d’elegance events in America. These included highly recognized shows such as the Amelia Island Concours d’Elegance as well as the Pebble Beach Concours d’Elegance. We also participated in exhibits at the Petersen Automotive Museum in Los Angeles, California and the LeMay Automobile Museum in Washington State. We met a lot of famous people along the way. Here Rick is shaking hands with racer Johnny Rutherford at the 2012 Amelia Island Concours d’Elegance. 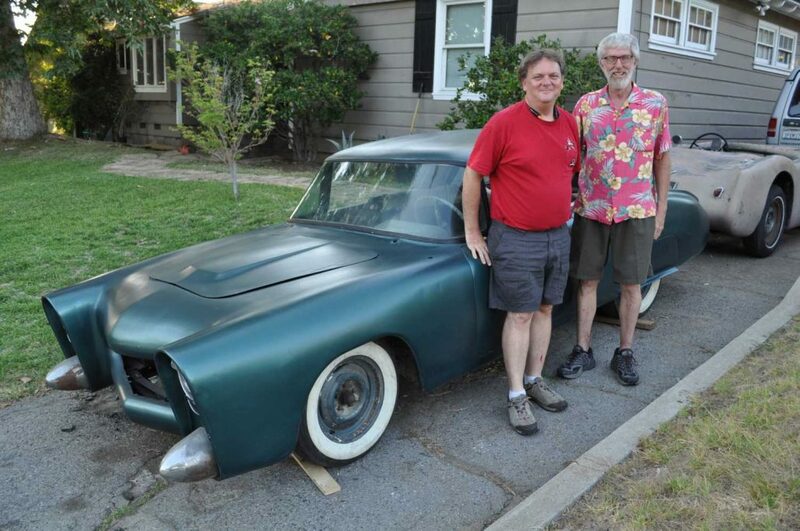 They both stand along side his 1957 LaDawri Conquest – one of our first cars and research efforts. The restoration of the Leo Lyons Custom Mercury was the challenge of a lifetime. 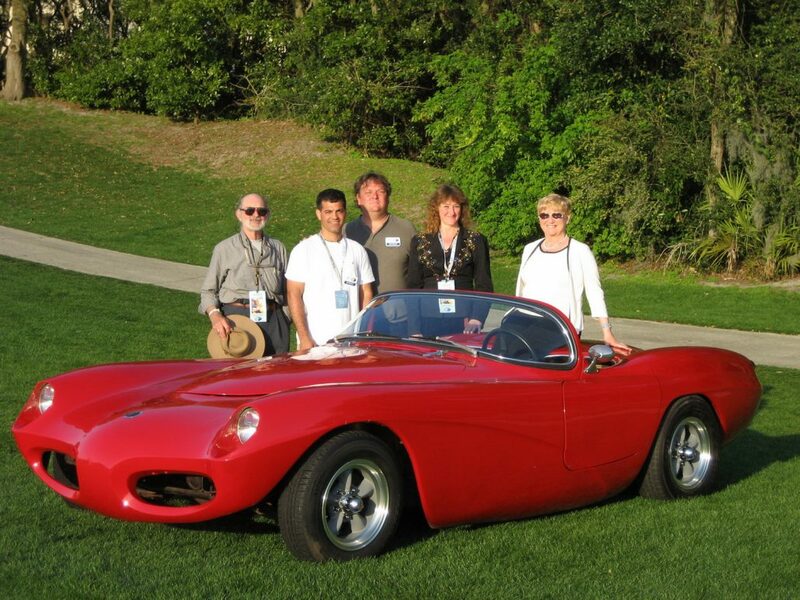 By the time we kicked the restoration into high gear, we had less than a year to finish the car and get in on the lawn at Pebble. Autoweek Magazine was with us at every step of the way which resulted in the most stories ever written by a magazine on the “run-up” of a car in restoration and preparation for a concours d’elegance event. 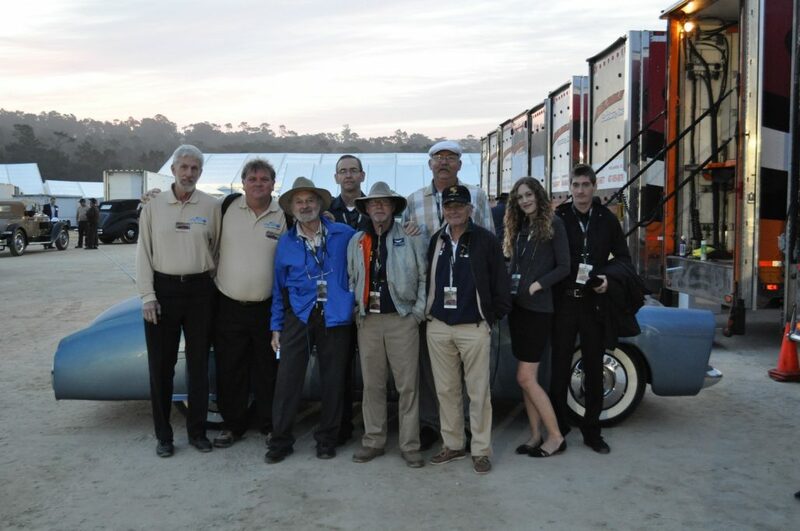 Our Gang at the 2015 Pebble Beach Concours d’Elegance. Back from from left to right is Rick D’Louhy,Geoff Hacker, Marvin McFalls, Dennis Gerdes, Jen Pascucci and John Pascucci. Front row from left to right is Merrill Powell, Rodney Packwood and Bill Packwood. Rick and I had more fun than the law should allow. 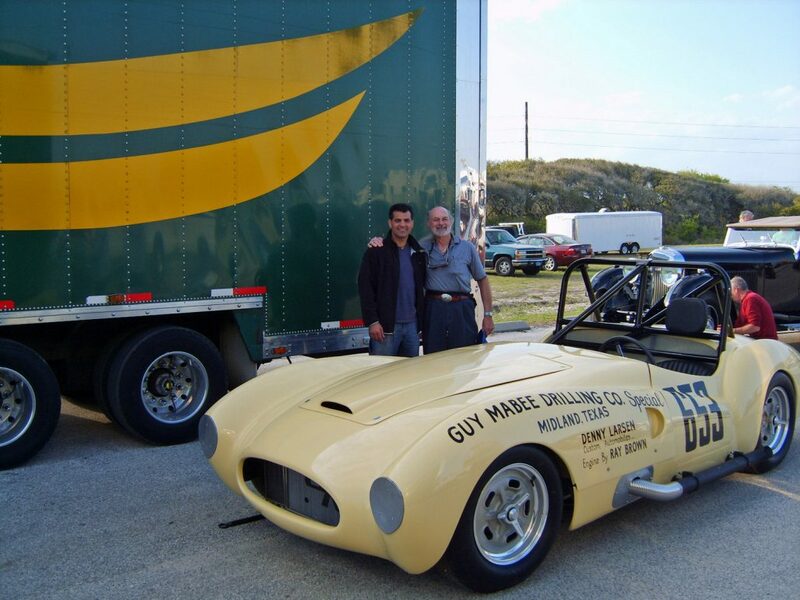 Here’s a photo from 2013 when we had just acquired the 1950 Leo Lyons Custom Mercury. 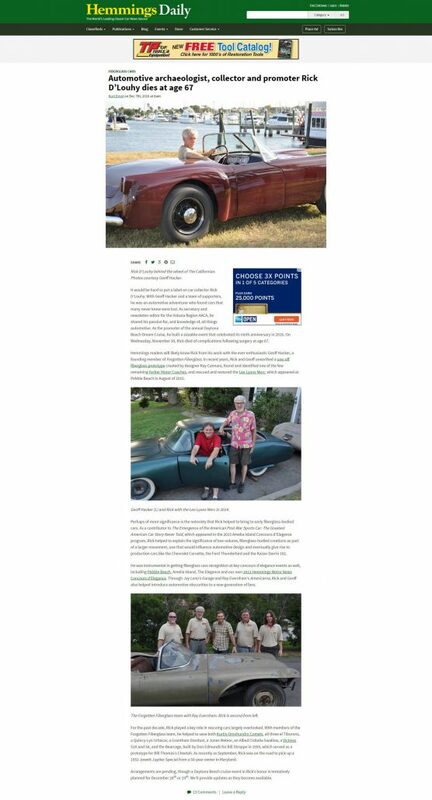 We flew out to Los Angeles and arranged to have both Leo Lyons and George Barris see the car. Both were instrumental in designing and building the Leo Lyons Custom Mercury. 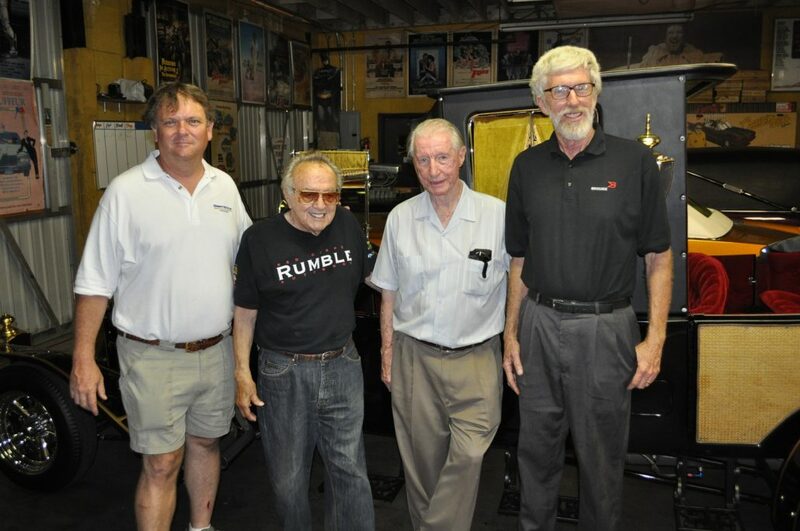 From Left to Right are: Geoff Hacker, George Barris, Leo Lyons (the man!) and Rick D’Louhy. Our last significant cross-country trip together resulted in one of the funniest stories that ever happened to us. 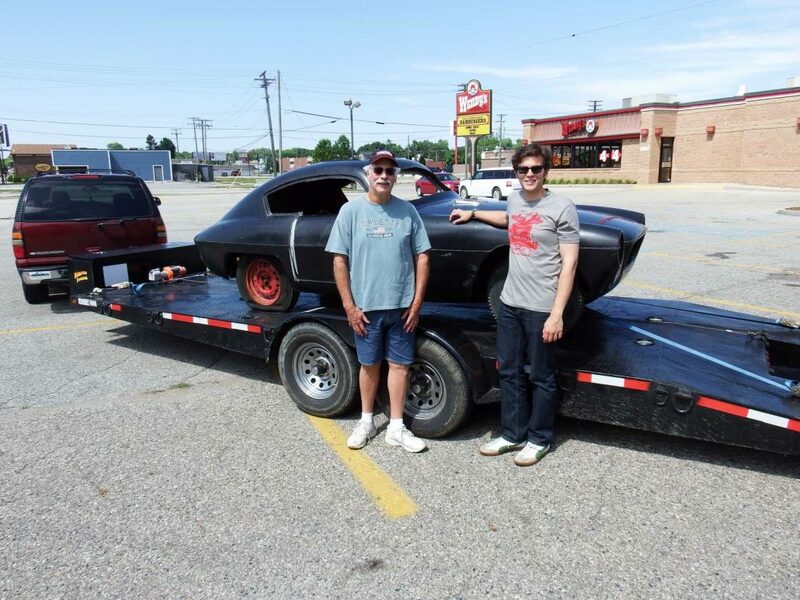 We went to Michigan to retrieve one of our cars and then decided to go to Canada to pick up another. 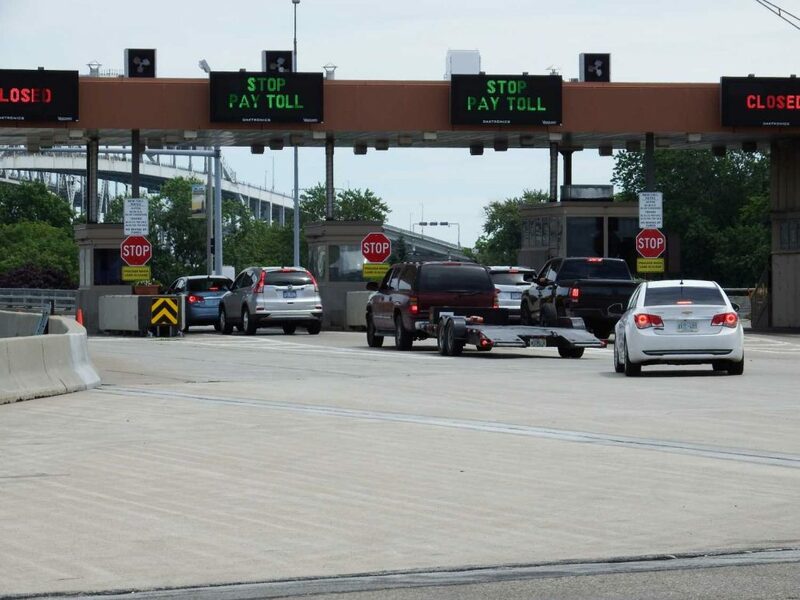 What ensued resulted in two of our friends being detained at the Canadian border while Rick and I panicked on the American side – safely having lunch at a local restaurant. You can read the rest via the link below. 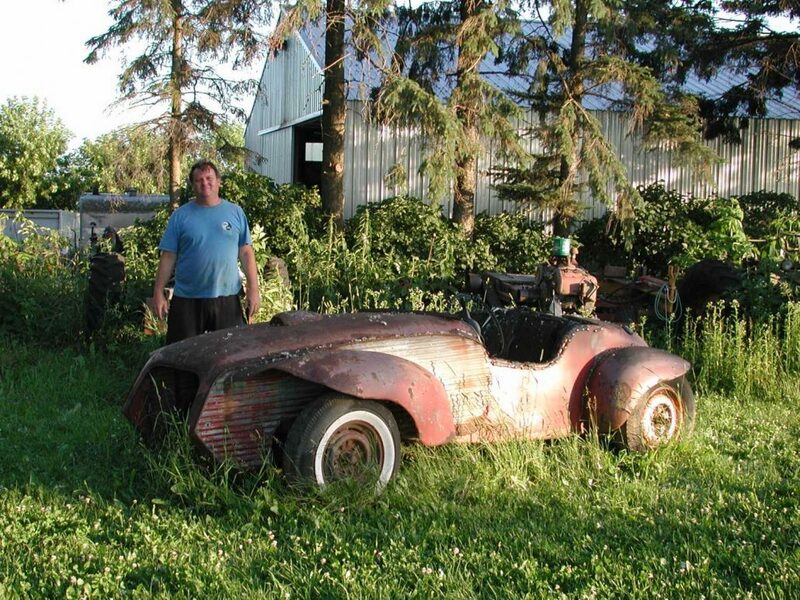 Rick D’Louhy at Stan Fowler’s house with Victress C2 coupe in the background – safely transported (now) out of Canada. 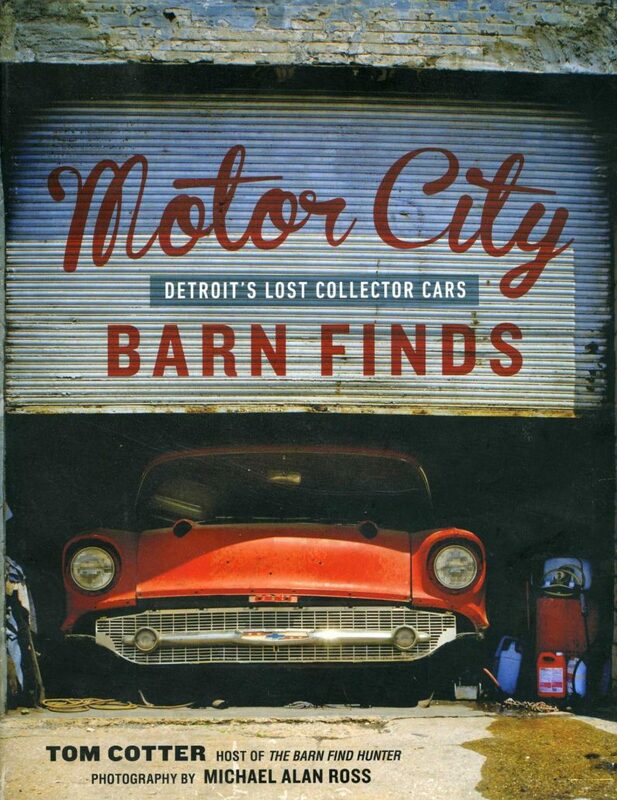 In 2015, Ray Evernham’s AmeriCarna TV show debuted an episode titled “Forgotten Fiberglass.” This show was broadcast on the Velocity TV network and focused on all the things that Rick and I did concerning saving, researching, restoring and showing lost American sports cars. 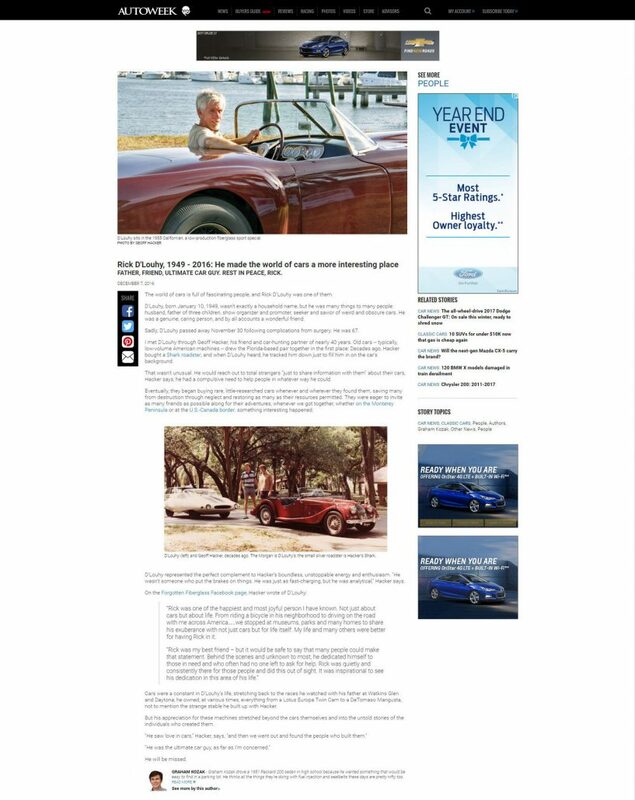 The video was shot in 2014 and the episode debuted in April, 2015 just after a class of “Forgotten Fiberglass” sports cars appeared at the 2015 Ameila Island Concours d’Elegance. 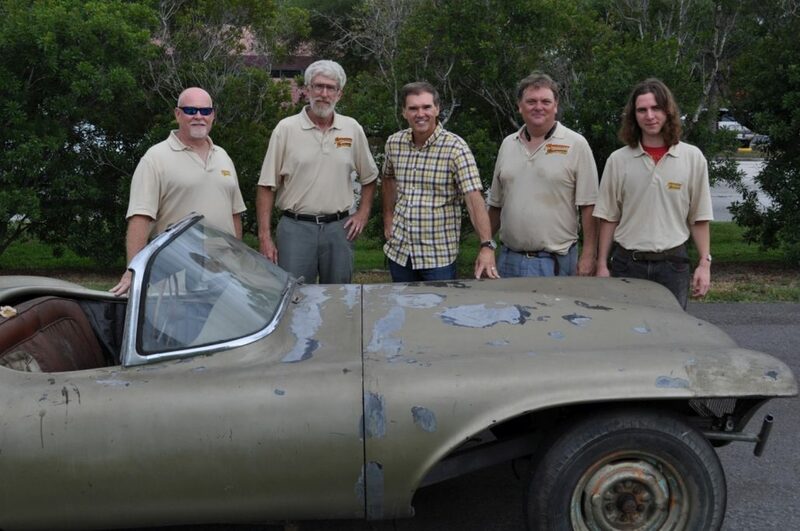 This was nearly 10 years after we began our “Forgotten Fiberglass” project and we were greatly honored to have Ray Evernham’s interest and attention in sharing this lost American sports car story with his viewers worldwide. 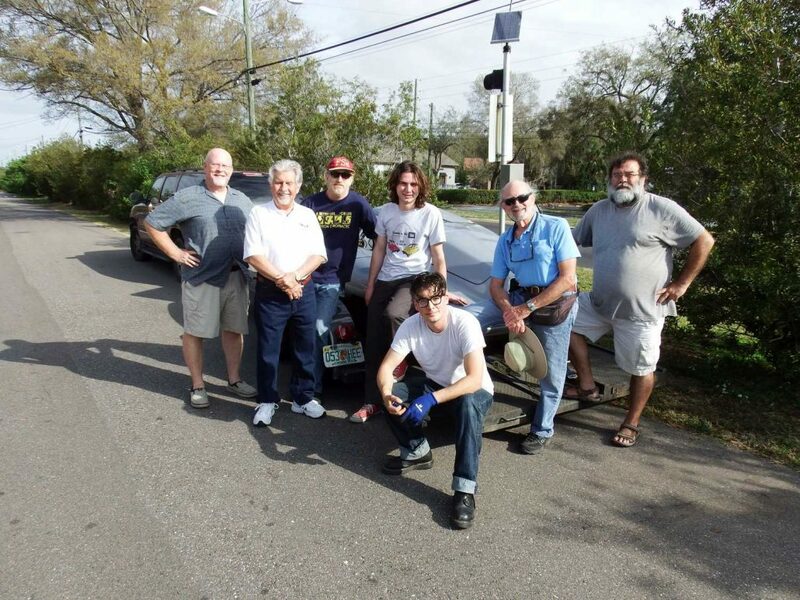 In 2014 on the last day of the tv “shoot” for a “Forgotten Fiberglass” episode on Ray Evernham’s AmeriCarna TV Show. From Left to Right: “Cool Hand” Craig Johnson, Rick D’Louhy, Ray Evernham, Geoff Hacker and Kyle Feller. 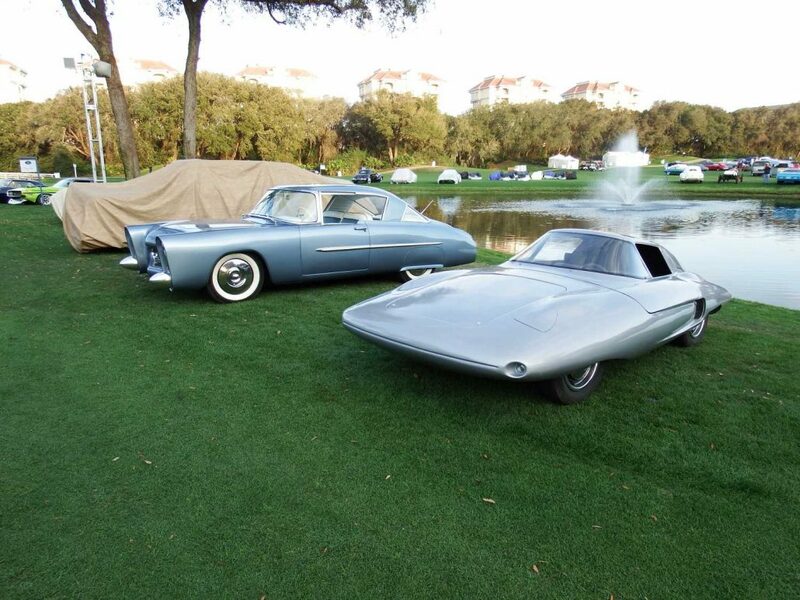 It was one of the rare times we participated with two cars on the concours field – our 1950 Leo Lyons Ultra Modern Mercury and my 1961 Covington Tiburon “Shark” coupe. The class of cars we had worked hard with Amelia Island to create was called “Concepts Beyond Detroit.” This class helped strengthen the idea that creating a car on your own or in a small company was possible and should be celebrated – just as we celebrate the same kind of cars that large manufacturers create and build. It was one of our proudest moments to stand on the field with those that joined us in that class and those who attended and celebrate the cars and honor the designers. That’s what Rick and I did best – share the achievements of others and help them, their families and their cars be welcomed into the history books with other achievers too. We could ask for no higher honor than to be allowed to do what we did and do this together. 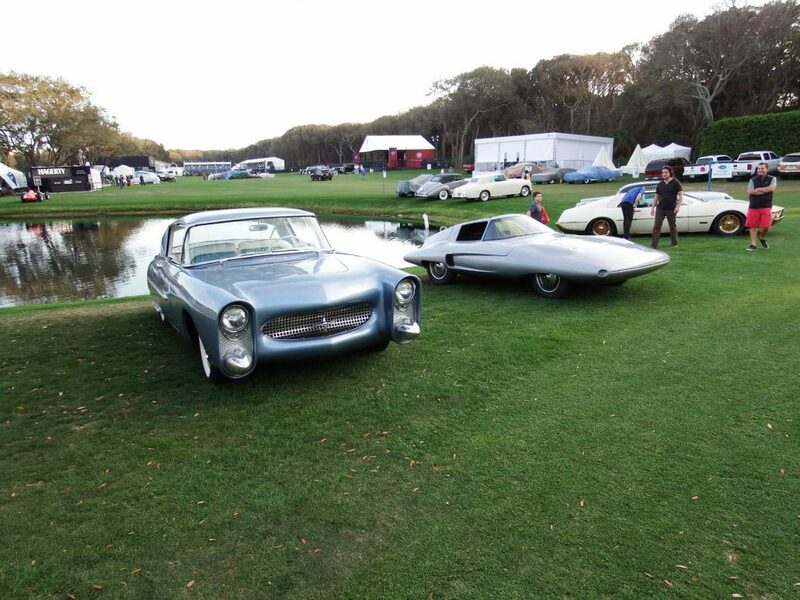 The Leo Lyons Custom Mercury and Covington Tiburon Coupe are on the Amelia lawn the day before the show begins. Another shot of both cars during the “quiet before the storm” of the Amelia concours which would open on the next day. Rick passed away on November 30th, 2016. You can read some of the stories written about him by family, friends and the media below. As for me, my car adventures continue – but are different. They are still fun. They are still exciting. They are still surprising. Rick would have loved every one of them. But they are different without my buddy Rick. I know that Rick is along for every new adventure and that he’s having fun watching us, seeing old friends, watching new friends and probably laughing at our “Forgotten Fiberglass” and newly minted “Undiscovered Classics” gang at every step of the way. We miss you Rick – but you made the world a better place to be in for everyone you met. Awards and Trophies have been named in honor of Rick D’Louhy since his passing. 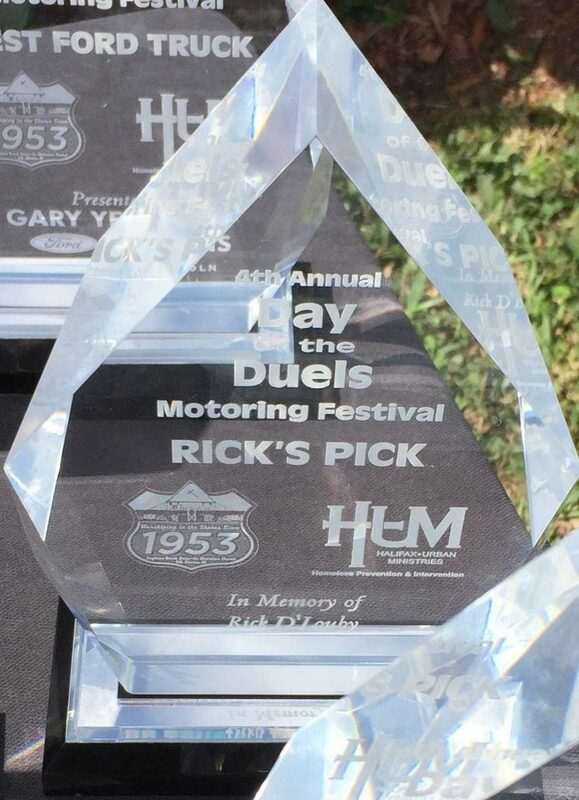 This trophy given in Rick’s name was awarded at the 2017 “Day of the Duels” car show in Daytona Beach Shores, Florida. You can leave thoughts and memories about Rick D’Louhy by scrolling to the bottom of this page and entering your comments there. 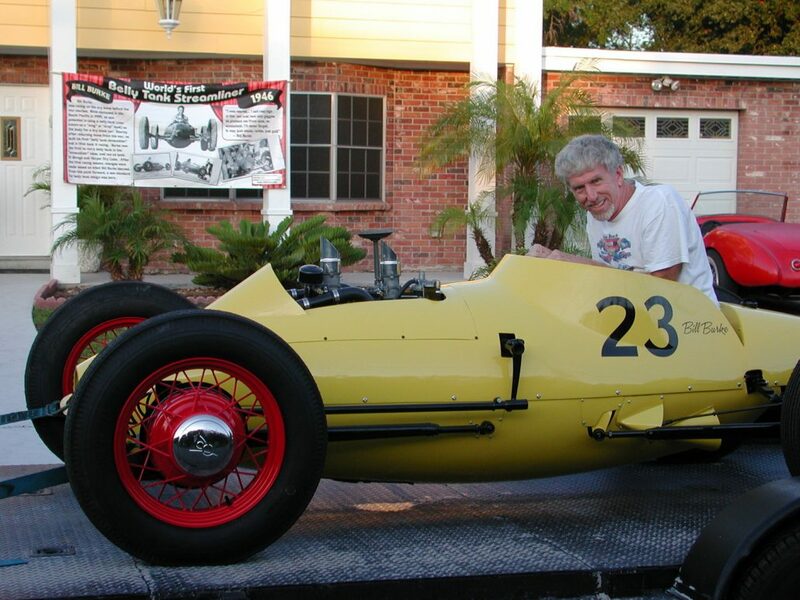 Here’s Rick in 2009 at the wheel of our tribute to Bill Burke’s 1946 Belly Tank Streamliner – the first belly tank racer in the world. I am so sad to share this with those in the car community and countless others who knew him as a close friend and enthusiastic person in life. Rick D’Louhy, my friend and partner in “Forgotten Fiberglass” passed away unexpectedly earlier this week. He has been a friend of mine for nearly 40 years and those who knew him in most corners of the country would have called him “friend” too. Rick was one of the happiest and most joyful person I have known. Not just about cars but about life. From riding a bicycle in his neighborhood to driving on the road with me across America….we stopped at museums, parks and many homes to share his exuberance with not just cars but for life itself. My life and many others were better for having Rick in it. Rick was my best friend – but it would be safe to say that many people could make that statement. Behind the scenes and unknown to most, he dedicated himself to those in need and who often had no one left to ask for help. Rick was quietly and consistently there for those people and did this out of sight. It was inspirational to see his dedication in this area of his life. The world was a more joyful, playful and happy place with him in it. And I know that the way he touched so many lives will continue in a positive way for so many of us who knew him best – and we will remember him for the rest of our lives. Such a positive influence in the world does not leave quietly – it continues to touch our lives forever. Thank you so much for your tribute to Rick. I read his story and accomplishments with great interest as I also have a love for fiberglass cars from that time. Keep up the good work with your Forgotten Fiberglass. I am sure we will meet very soon. I can only envision all the great fun and untold stories that your pursuits of uber-rare kit cars from a forgotten era certainly entailed———–envious! I love these old cars equally as much and if I had more time, I’d gladly step into the fun of the pursuit! Alas, I have family and a 13yr old son who need me. Keep living the dream in 2019! Nice tribute Geoff. 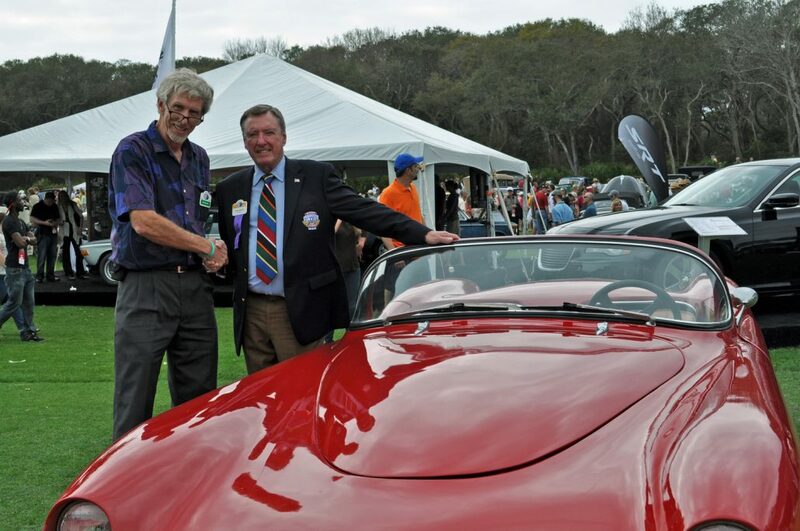 I enjoyed meeting and talking to Rick (and you) at the 2015 Pebble Beach Concours d’Elegance. the night before Rick went in to the hospital, we sat down to dinner at my house. Typical Rick downplayed the surgery and we made plans for the following weekend. Surgical complications weren’t on my radar at all. When Lyn told me Rick had died, it was one of those earth-opening-up moments. Rick was Ali, one of those guys that should have lived forever, brightening the lives of everyone he touched. he had his foibles, i used to smile at his metal collecting. he’d drag crap into my shop to separate half an ounce on aluminum from a gram of rubber, and we’d cure the world’s troubles every week. i still pick up a piece of scrap off the floor and catch myself thinking I should save it for Rick. Geoff, thanks for putting this together, great job. A beautiful tribute to our friend and fellow traveler. As an honored passenger in some of the adventures, I truly miss his humor and kindness. He lives forever in my heart. A wonderful tribute to a friend and partner in some great adventures. 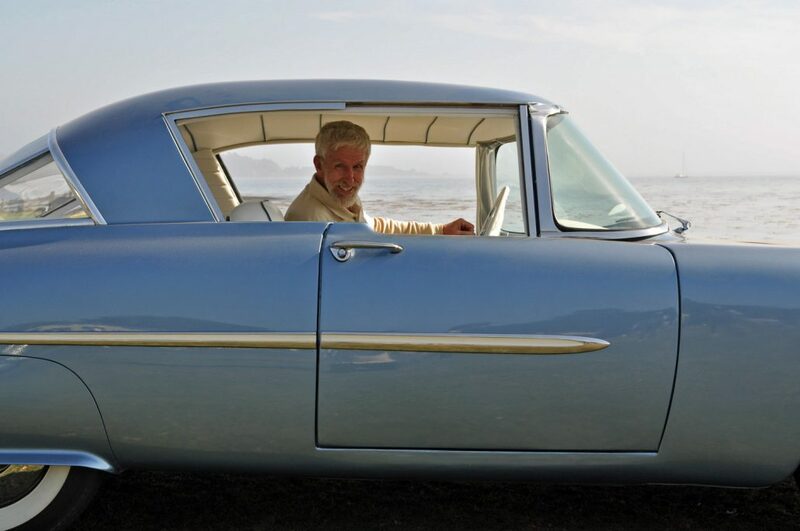 Rick did it right…enjoying the passion he had for cars and engaging in the adventures as they unfolded. Thanks for sharing your thoughts on your friendship with Rick. Geoff; you did a great job memorializing and remembering Rick. He was clearly an asset to the automotive world, and will be missed. 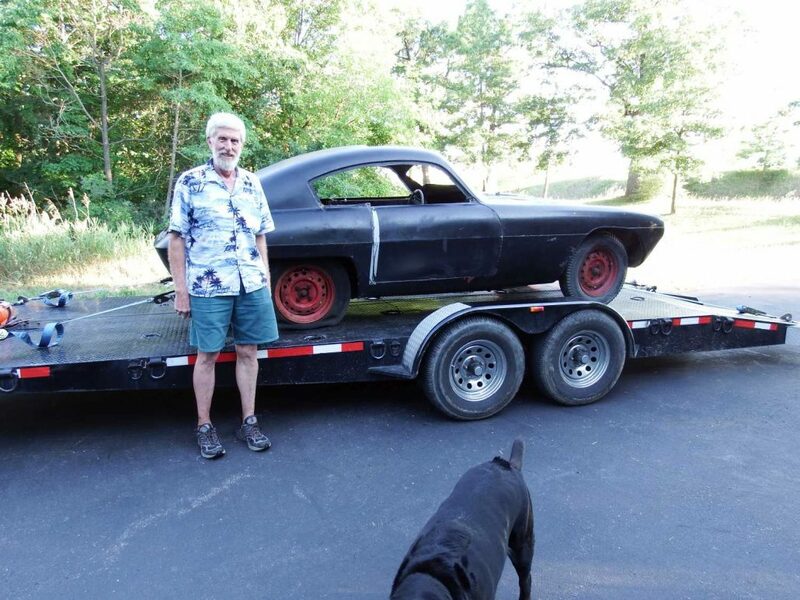 In many ways, he’s the story of all of us who spend decades dedicated to the classic car hobby. Where does the time go? May he rest in peace. Geoff , Just read Your wonderful captivating tribute to Rick ! I’m So glad to have met You both in person at Amelia ’13 . I realized many years ago that “playing with cars” is primarily a vehicle to something far more rewarding , great friendships ! Without the terrific people that we befriend along the way , pursuing our automotive passions would be nothing more than hollow victories . Rick’s irepresable passion for endeavor ,accomplishment and good will , will surly be missed ! Thank you, Geoff, for putting together this wonderful tribute to Rick and compilation of your car pursuit adventures together. This will be a treasured keepsake record of a major part of Rick’s life in the past couple of decades. 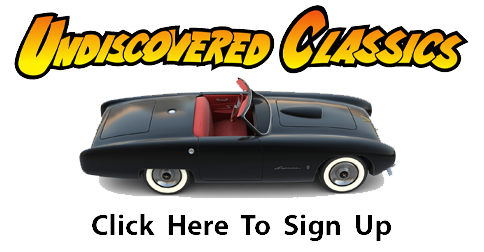 Undiscovered Classics and Geoff Hacker, Ph.D.